Fonroche Lighting has been working to bring solar lighting to towns and cities in Burkina Faso since October 2017. Hundreds of off-grid lights have already been installed, allowing people to stay safe day and night throughout the year – and the local residents are delighted. Fonroche solar streetlights meet the needs of Burkina Faso’s cities where public lighting is unavailable. They are the only solution to guarantee high-performance lighting all year round, thanks to proven technology deployed in thousands of other projects worldwide. “Everyone can produce solar energy when the sun shines, but producing solar energy when it’s cloudy, dusty or rainy is quite another matter! This is what sets us apart,” says [prénom + nom Director of Exports at Fonroche Lighting]. 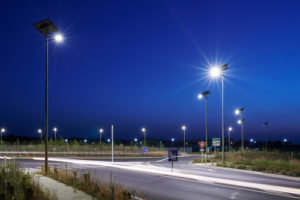 Smartlight from Fonroche Lighting offers a range of high-end, reliable and durable solar streetlights that are French designed and manufactured. Thanks to the photovoltaic module’s self-cleaning coating and a battery life of 10 years, they don’t require any maintenance for the first 10 years. The streetlights illuminate the towns and make them more attractive. All-night lighting supports local economic development by lighting shops as soon as the sun goes down. No more electricity bills means savings for the authorities. Street lighting increases public safety. The all-round satisfaction of the local Burkinabe will spur the development of other projects to improve security for dwellers in rural areas. A sense of security is very important to the local population. Lighting up roads and pavements helps prevent accidents, hold-ups at stores and assaults. Fonroche off-grid solar streetlights ensure uninterrupted lighting all year round. Thanks to this innovative solar lighting system, Burkinabe can continue to work safely after nightfall. Other solar lighting projects are underway in West Africa, especially in Niger and Senegal. 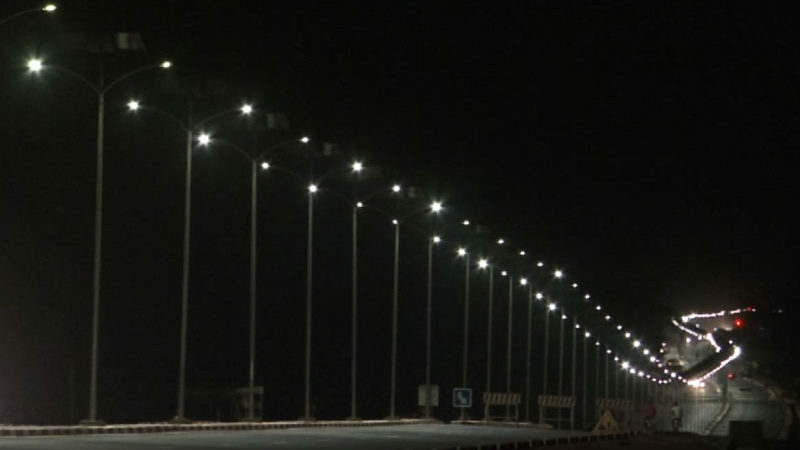 After deploying solar lighting to illuminate the roads leading to the new Dakar airport, 50,000 more solar streetlights are currently being installed in other parts of Senegal. In Niger, thousands of Smartlight streetlights now equip the cities of Tahoua, Agadez and Maradi. These projects bring jobs and skills transfers. What’s more, Fonroche has set up a factory in Dakar to assemble the 50,000 solar streetlights that will illuminate 30% of the country within the next three years. Next Post Annaba, Algeria: solar lights the way to the beach!